PCSO investigating after man reportedly killed girlfriend before shooting himself. 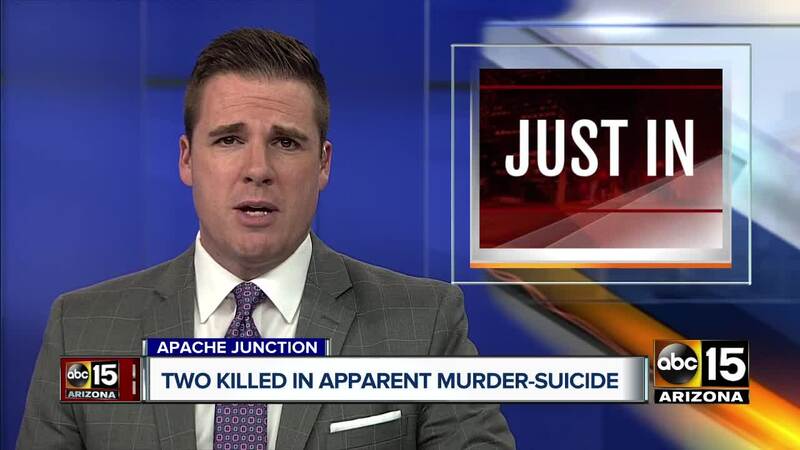 APACHE JUNCTION, AZ — Authorities are investigating an apparent murder-suicide in Apache Junction. According to the Pinal County Sheriff's Department, on Friday night, Goodyear police contacted the Apache Junction Police Department to help locate 30-year-old Stuart Milne, who was possibly suicidal. Officers warned Apache Junction police, Milne was possibly armed and had made some concerning statements to his girlfriend, Natasha Arredondo. Apache Junction police located Milne and pulled his car over near Guadalupe Road. According to police, as officers approached the car, they asked Milne to show his hands. As they got closer, they heard shots fired inside the vehicle and found Milne with a self-inflicted gunshot wound to the head. Goodyear police say while Milne was being stopped by Apache Junction officers, he was on the phone with Goodyear police making suicidal statements, and saying he had done "something really bad" in relation to his girlfriend, Arredondo. Arredondo's family reported her missing Friday night around midnight, saying her young son was home alone. Family members told police Milne and Arredondo lived together and were last seen in their San Tan Valley home. PCSO officials say Saturday morning a citizen called deputies to report a body found in an industrial park near Houston and Delaware roads in Apache Junction. When deputies arrived on scene, they found Natasha Arredondo's body deceased with multiple gunshot wounds. Investigators believe Milne shot Arredondo before he had contact with Goodyear and Apache Junction police. The Pinal County Sheriff's Office is investigating this as a homicide case. Anyone with information is asked to contact PCSO.